Being a family business, allows us to develop the long-term sense rather than focus exclusively on short-term profit. 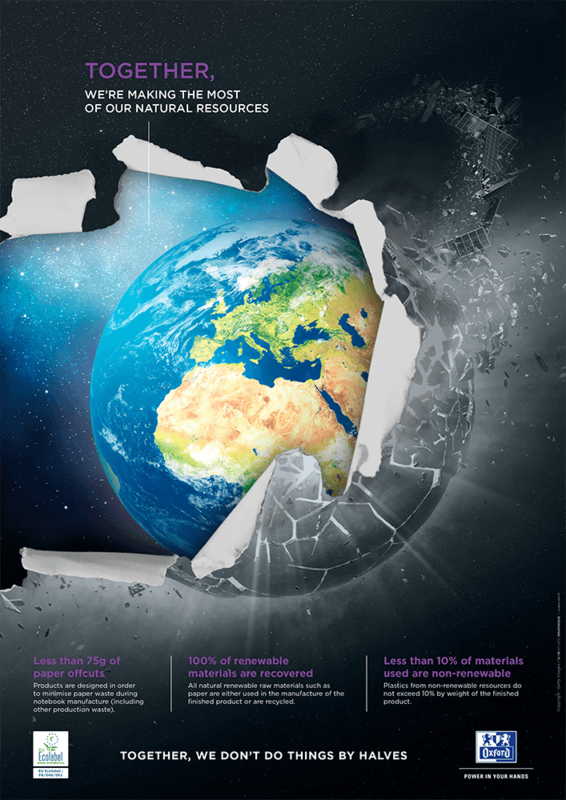 We set new standards to minimise our footprint at every step in the product life-cycle. We are committed to unleashing talents by offering our consumers innovative and sustainable products. Our basic premise is that preserving the environment shouldn’t be the consumer’s problem. It’s our job to make each product in a responsive way, with microscopic focus on every part of the supply chain. “We have a strong sense of responsibility toward future generations by offering them well-designed products with indisputable environmental performance. 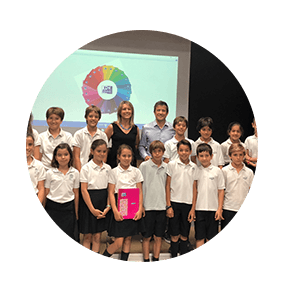 Our mission is to give all pupils and students the right tools with the guarantee that we constantly strive to minimise their impact on the environment.” Eric Joan, CEO. The eco-design approach made us reconsider the entire life-cycle of our products from sourcing, paper manufacture, conversion, transport to end-of-life. 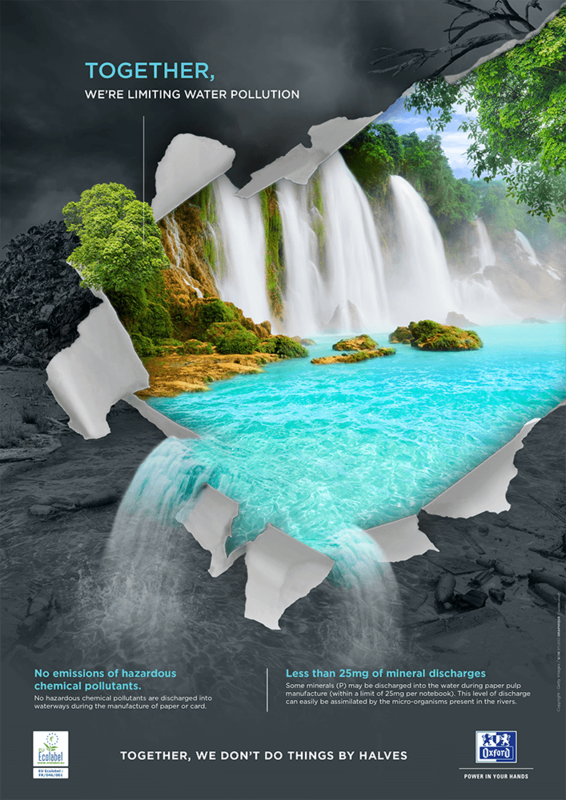 With the help of experts, eight task forces have been created to analyse the major sources of environmental impact. We adopted a scientific approach for all of our product categories by making ‘Products Life Cycle Assessments’ according to the ISO 14044 standard. 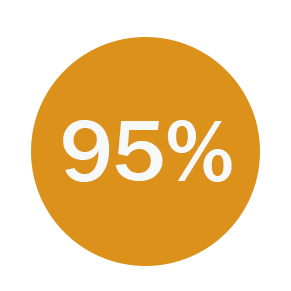 This work allowed us to reduce the environmental impact of our products. We only support Ecolabels that reduce products’ environmental footprint during their entire life-cycle. 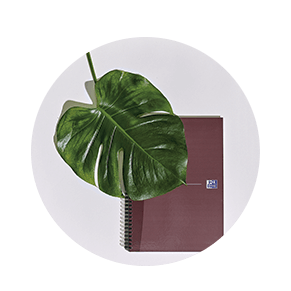 In 2016, OXFORD became the first brand of notebooks to certify its products EU Ecolabel. 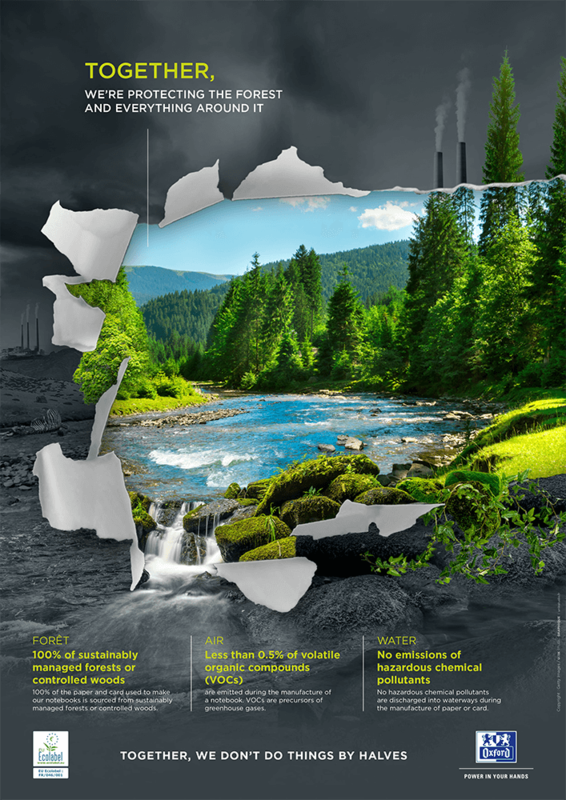 The EU Ecolabel for converted paper products is the only official pan-European Ecolabel guaranteeing reduced environmental impacts through factors such as the use of certified sustainable forest management paper, reduced air and water pollution, no toxic and hazardous chemicals, paper waste reduction and lower energy consumption. 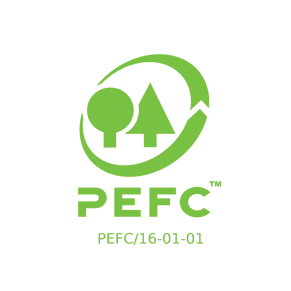 We promote sustainable forest management certification to contribute positively to the preservation of our forests. “We exercise constant vigilance regarding the origin of the paper and cardboard we source.” Managing Director of Books and Pads. Since 2003, we have been sourcing our raw materials in an ecologically responsible manner, by using certified sustainable forest management paper. 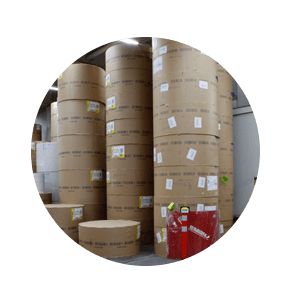 We require our paper suppliers to provide environmental guarantees. 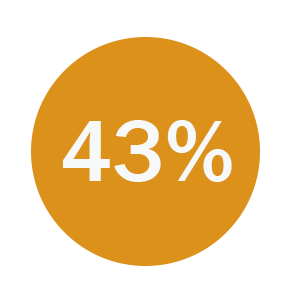 43% of our writing papers are already certified by the EU Ecolabel for “copying and graphic paper”. For all other paper and board, as there is no EU Ecolabel, we require more information from our suppliers such as water pollution (COD, AOX, NTot, PTot), air emissions (SO2, NOx, CO2 fossil), solid waste landfill and purchased electricity consumption, to ensure that environmentally-friendly processes were used. 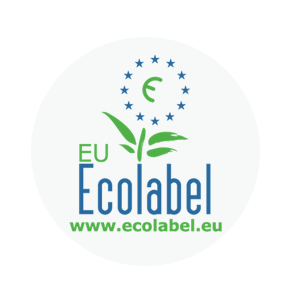 of Hamelin’s writing papers are already certified by the EU Ecolabel for “copying and graphic paper”. of Hamelin’s requirements are compiled in our Charter of Sustainable Paper Suppliers. 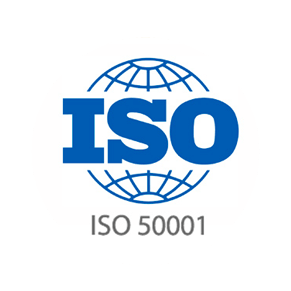 We certified our first factory in Germany by ISO 50001 for the management of energy in 2016. Two other factories in France are being certified. This standard specifies requirements for energy use and consumption, including measurement, documentation and reporting, design and procurement of equipment and systems, processes and personnel that contribute to energy performance. Two of our most important challenges are to favour the recyclability of our products but also to increase their durability. 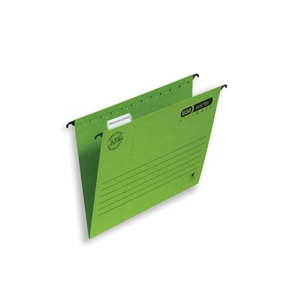 Our notebooks respect the recyclability standards as they are tested in a laboratory according to the INGEDE Method 12.  For instance, this allows us to claim that our OXFORD exercise books containing glue are 100% recyclable. 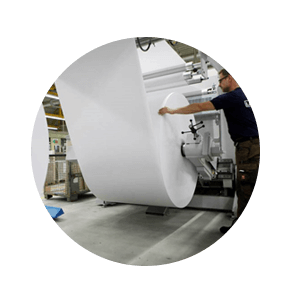 Moreover, Oxford OPTIK PAPER® is de-inkable during paper recycling process and our laminated covers can be recycled without being removed. A way of reducing a product’s environmental footprint is to prolong its life-cycle or to allow for its reuse. When creating new products, we develop more resistant materials to improve the product’s lifespan or to ensure the product remains intact throughout the school year. For example, Elba Ultimate® suspension files have a 20 year warranty. In 2011, we launched the “JUMP” project to improve our quality, environmental and safety performances. The JUMP project aimed to implement a management system across all of our sites in Europe. Beyond looking at the quality of the products we make, our focus is on the quality of every process we undertake. Today, our 21 Hamelin European sites have been certified ISO 9001 (Quality), 14001 (Environment) and OHSAS 18001 (Health and Safety) compliant. 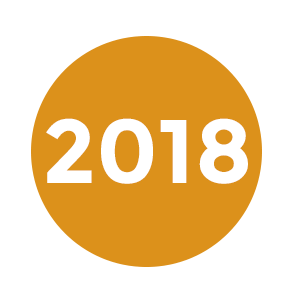 In 2018, we launched the project “ZERO” related to the Health and Safety of all of our colleagues and visitors. The project aims to decrease the number of accidents to approach « zero » by 2019 through implementing effective prevention action plans and developing the Safety Culture thanks to our Safety Managers. Launch of the project "Zero"
Our responsibility is to support the skills and talents of our people, so they can develop expertise, autonomy, reactivity and team spirit. In 2016, we introduced a Code of Ethics to set out key guidelines for fostering a friendly and collaborative working environment. 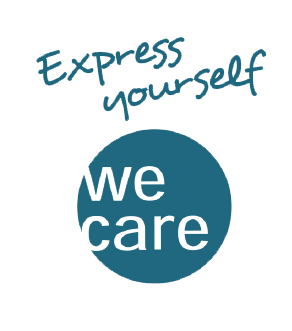 As we are constantly trying to improve ourselves, we measure our employee satisfaction every three years focusing on values such as ethics, respect, credibility, pride and friendliness. In France, Hamelin is one of the main partners of the MoHo project. 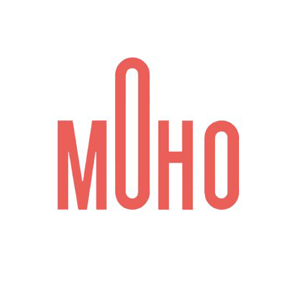 Described as the 1st “collider” in Europe, the MoHo is a place dedicated to digital but also social innovation and entrepreneurship “to build a diverse nation of changemakers”. 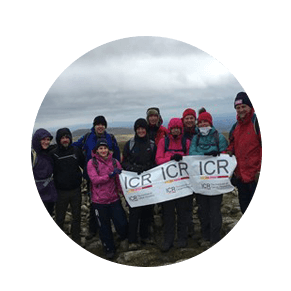 For a few years now, the UK Hamelin team has taken part in ‘The Climb of life’, the number one fund raising event for ‘The Institute of Cancer Research’. 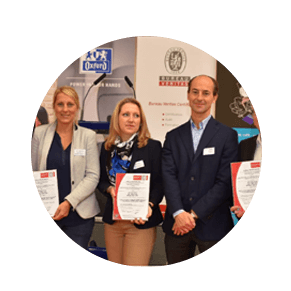 In 2018, Hamelin was again the top manufacturing fundraiser at over £5,000. 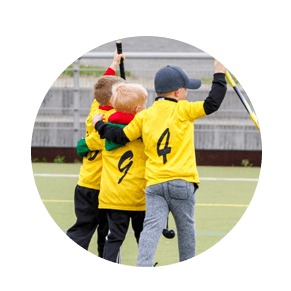 In Benelux, Hamelin has supported local sports teams such as the premier league club VVV-Venlo as well as projects that enhance the learning environment in less prosperous regions in Europe providing teaching materials to schools. In Spain, Hamelin collaborated with the foundation “Fundació per la Creativació” that promotes new skills during school stage training to encourage creativity and imagination.